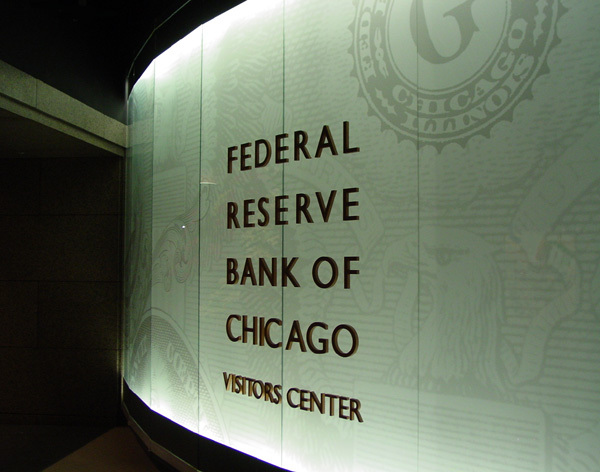 She considers it too early to speculate about conclusions, but she believes establishing a connection to the Federal Reserve Bank was critical to her research. 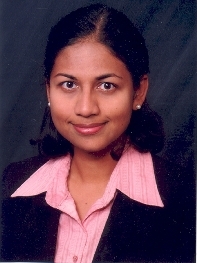 That connection came about through Balasubramanyan's networking efforts. Less than one year ago, she met Federal Reserve Bank Vice-President of Financial Markets Group Anna Paulson at a conference hosted by ISU's Networks Financial Institute and asked for the opportunity to collaborate on research. Priorities of Networks Financial Institute are to develop students as financial services leaders and promote financial literacy through quality educational programs. But an equally important goal of the Institute is to improve the financial services industry through effective research, said Jack Tatom, associate professor of finance at ISU and director of research at Networks. Getting inside the Federal Reserve is a windfall for a researcher because "they have access to considerable data that is hard to come by on the outside," Tatom said. Prior to his employment at ISU, Tatom worked for the Federal Reserve Bank in St. Louis from 1976 through 1995. "It is a very stimulating environment because the key issues facing policy makers there are the bread and butter experiences for researchers," he said. "For an outsider to come into that environment is a marvelous opportunity. "I don't know that ISU has ever had anyone do that, and there are top research institutions that aren't doing that either." Balasubramanyan's month in Chicago was as an unpaid visiting scholar, but the insight she gained from spending time at the Reserve Bank made the experience invaluable, she said. "The frontier research they are doing there has national implications," she said, "and that work environment is like no other." With the insights she gained, Balasubramanyan is co-authoring with Federal Reserve Bank economist Maude Toussaint-Comeau and Professor Edward Coulson of Pennsylvania State University a paper with the working title "Housing Market Performance and Small Business Credit Availability." For now, Balasubramanyan has returned her focus to the ISU classroom. But she says she will continue strengthening relationships with industry insiders and looking for more opportunities to build those sorts of professional ties. "I love researching and being in an environment that helps me sustain a research agenda," she said. "There are just so many ideas in my mind, and I need to keep working to narrow them." Photos: http://isuphoto.smugmug.com/photos/664911387_sreTg-L.jpg - The Federal Reserve Bank at Chicago; http://isuphoto.smugmug.com/photos/664963498_3WeK4-X3.jpg - Lakshmi Balasubramanyan. Contact: Lakshmi Balasubramanyan, assistant professor of finance, College of Business, Indiana State University at 812-237-2091 or Lakshmi.Balasubramanyan@indstate.edu. Relationships fostered by Indiana State University's Lakshmi Balasubramanyan paved the way for her to study this summer with policy makers at the Federal Reserve Bank in Chicago.